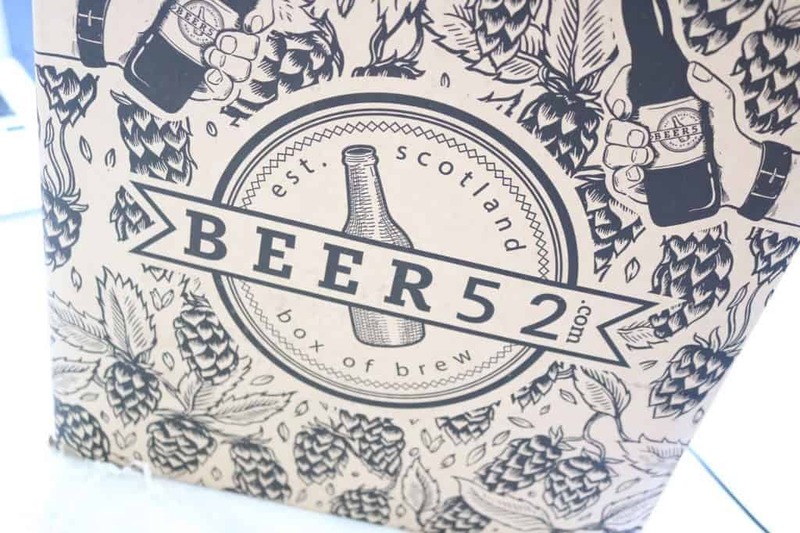 Beer 52 is a craft beer subscription box service that provides you with eight beers, personalised to your taste, and a magazine for £24 a month. Whilst I’m not a beer drinker personally, my boyfriend was of course happy to be the taste tester on this occasion! 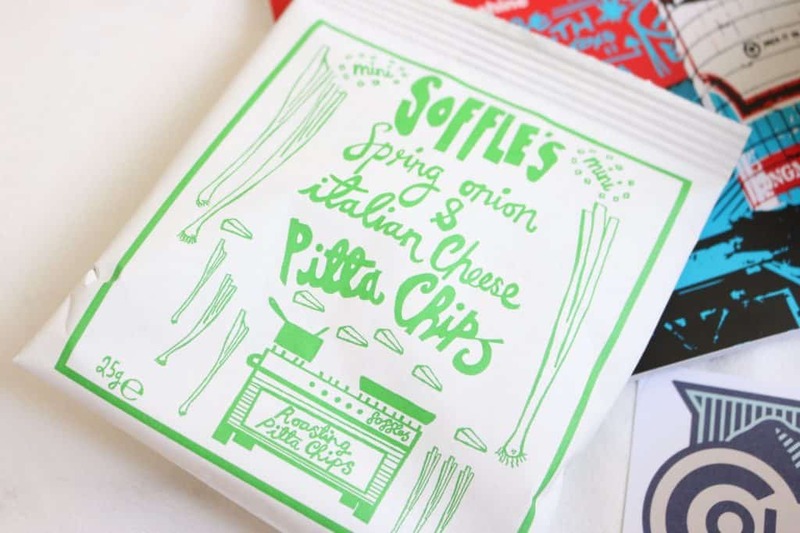 First of all, lets talk about the packaging – how pretty is the box it is delivered in?! 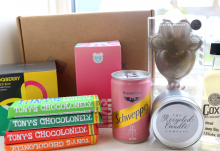 The box is very sturdy and has handles on the side too, so your postman (and you!) won’t struggle with it. I was in love with the design on the box – it was almost a shame to throw the box away. It’d look so cool as a framed A4 print. So, what do you get in the box? 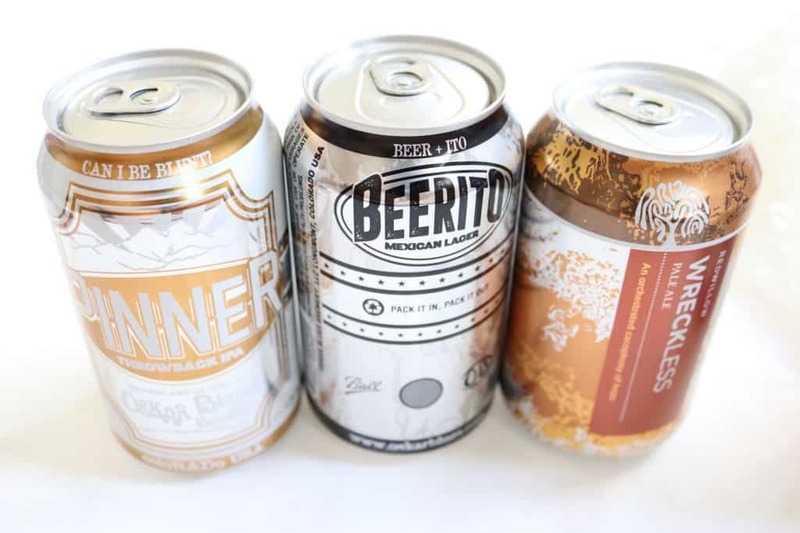 You get eight beers, which are selected by a team to suit your individual tastes. 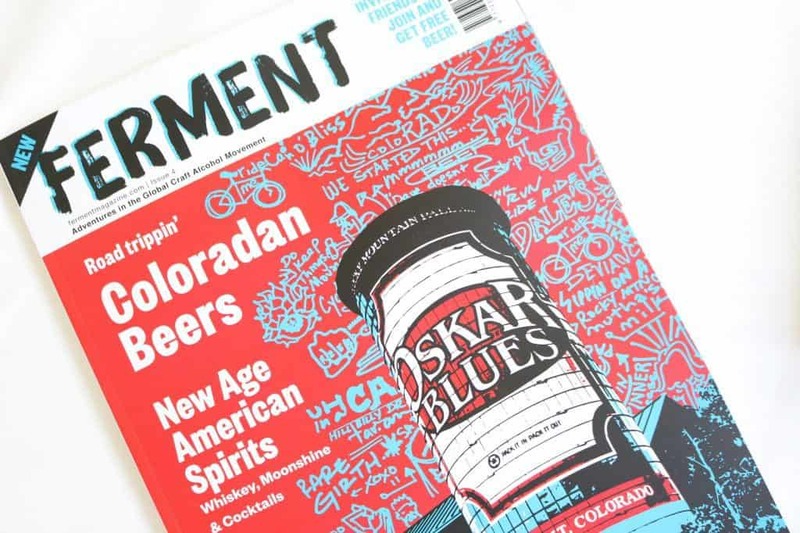 You also get a copy of Ferment magazine – the UK’s number one craft beer magazine, which is full of all things beer related! 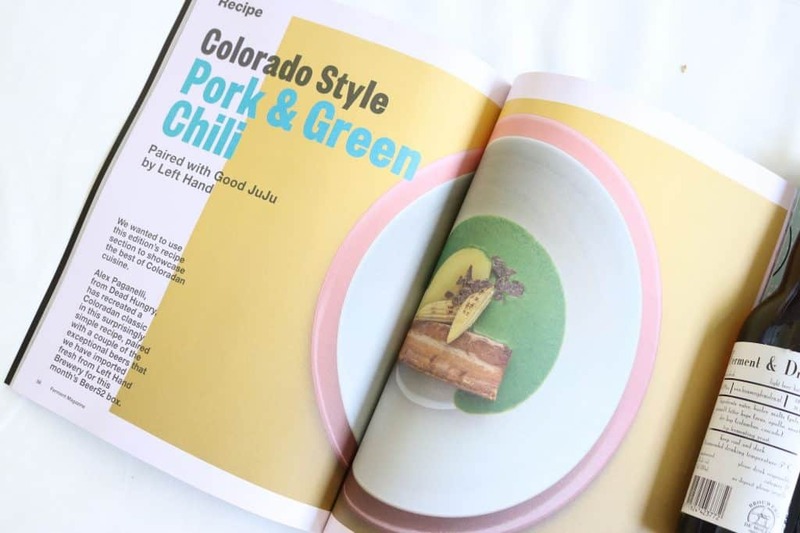 I was impressed to even see some recipes in the magazine – it was pretty interesting! 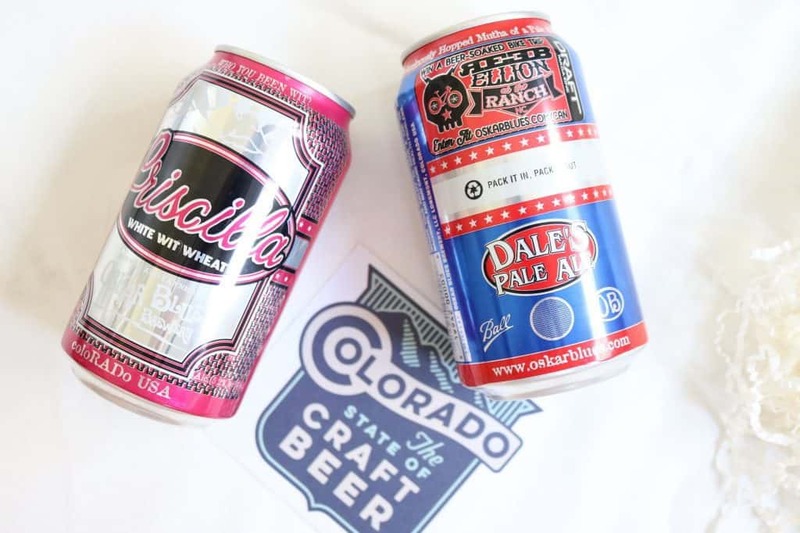 Each monthly box has a different theme – this month’s theme was based around the American State of Colorado. 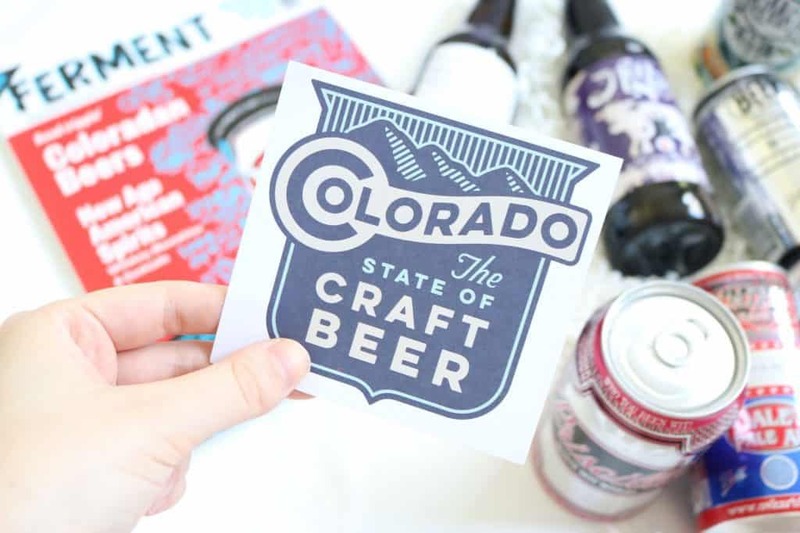 As well as the beers and magazine, you also got some pitta chips and a Colorado sticker to tie the box together. 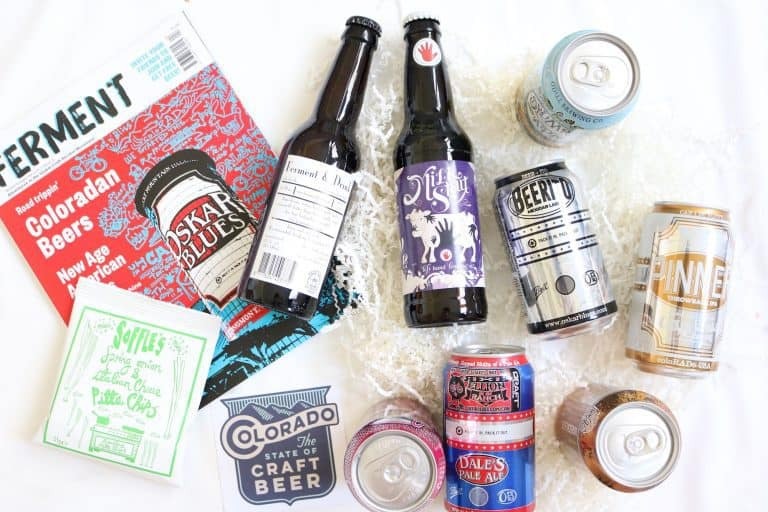 The best thing about this box, is that as it is a craft beer box, the beers are all made in small batches from local breweries. 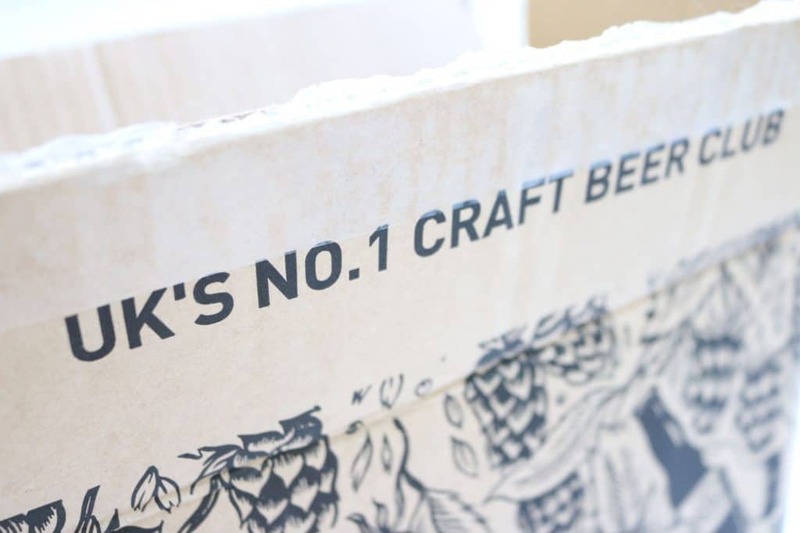 They’re often brewed only 4-6 weeks before the box arrives, so you know the beer is fresh and hasn’t been sitting at the back of a Tesco’s shelf for months on end! 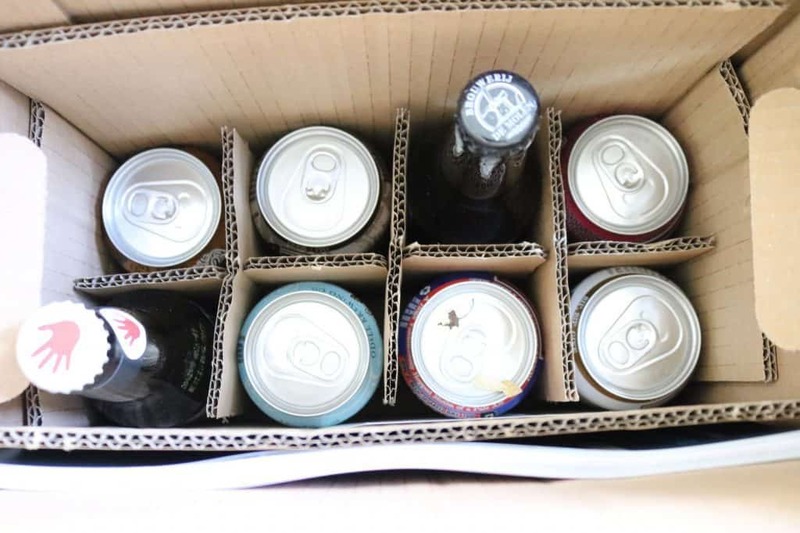 One thing that first struck me as I took the beers out of the box – they were all so pretty! You can tell a lot of thought had gone into the designs on the cans and bottles. 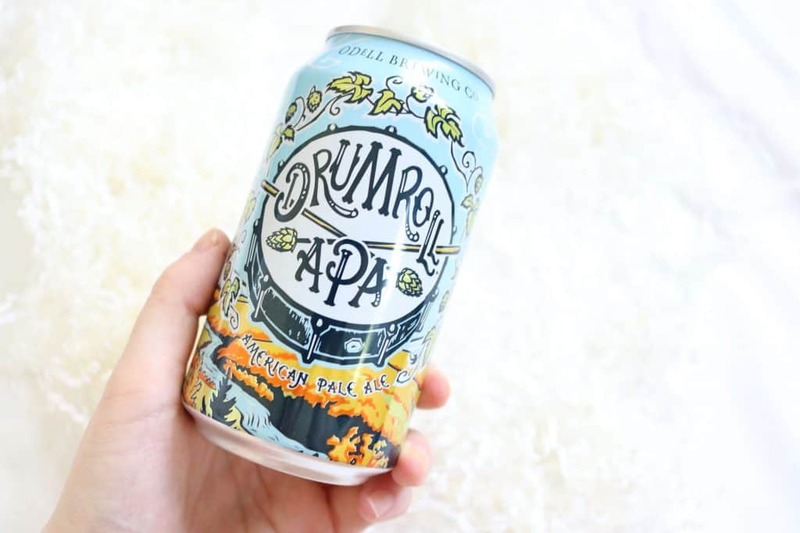 My favourite had to be the Drumroll APA can – it was almost a shame it was just going to be thrown away! 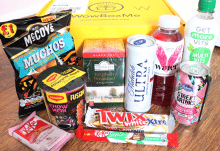 So, how did the box do in the taste test? Pretty well! Whilst my boyfriend would personally have preferred more lager over pale ales, there were still some standouts in this selection – the Priscilla had nice fizz and froth, to which he said was better than Budweiser. 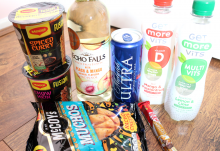 Drumroll was fruity and had a similar scent to the soft drink Lilt. 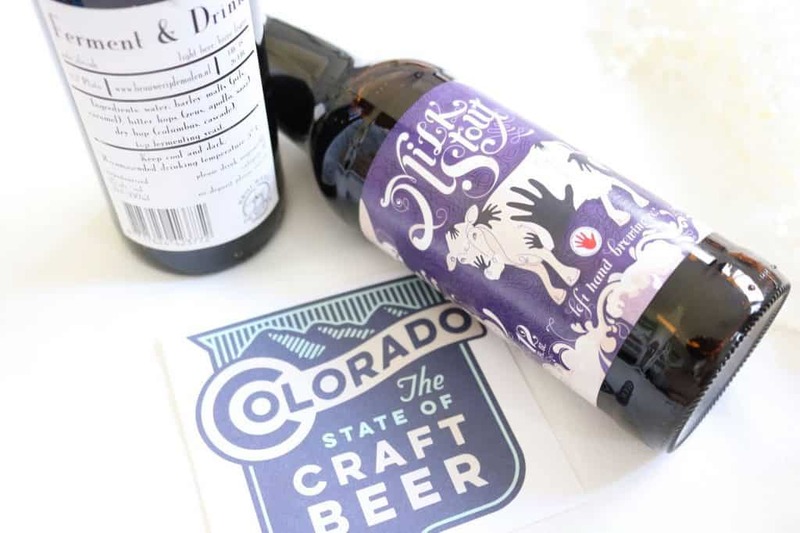 Overall, there was a good selection of beers, and as ever with subscription boxes – it is nice to discover new things. I’m especially impressed with how well they tie everything together with a theme, and the Ferment magazine is definitely a nice little addition in the box. 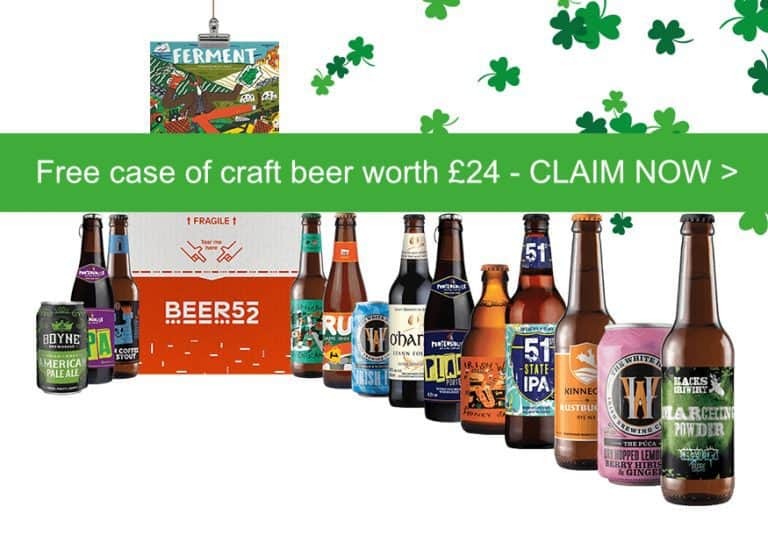 A great way to try out new beers and would make the perfect gift for a beer lover!